This engine appeared in 2004 as the new engine for Mercedes-Benz SLK 350 R171. 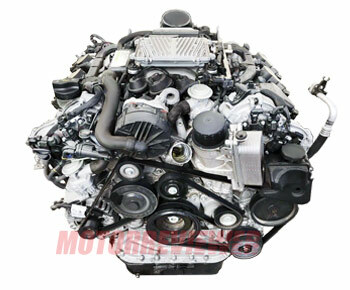 M272 series is the new generation of V6 Mercedes engines. The 3.5-liter engine came to replace the old M112 E32 and M112 E37 engines. The M112 engine lies at the base of M272 engine design. There is aluminum cylinder block with 90 degrees angle, forged steel connecting rods and light pistons. The dimension between cylinders is the same 106 mm. The M272 engine also has a balancer shaft inside the engine block. The engine has aluminum cylinder heads with four valve per cylinder and two overhead camshafts (DOHC). The diameter of the intake valve is 39.5 mm, exhaust - 30 mm. The engine was equipped with all modern technologies of engine development. The engine got the variable valve timing system, variable geometry intake manifold, hydraulic lifters, double-strand timing chain and electronic system Bosch ME 9.7. The M273 E46 and M273 E55 engines are the part of this one family. The new version of the M272 V6, which name is M276 DE35, came out in 2011. 1. Oil Leaks. Check the plastic plugs of cylinder heads; perhaps they need to be replaced. 2. Intake manifold valves issue. The engine operates unstably with that problem. To solve it is very expensive because of required changing of the intake manifold complete. This problem occurs on engines until 2007.